The Clean Marine Board members and I are committed to building a strong momentum for the Clean Marine Program in 2018. To ensure the success of the Clean Marine Program participation and support from current and future Certified Clean Marine facilities is necessary. The Clean Marine Program is a partnership of private marina owners, government marina operators, boatyards and yacht clubs. The Clean Marine Program was developed to ensure clean facilities exist in our boating communities and protect our waterways from pollution. It is the objective of the Clean Marine Program that all California marinas, boatyards and yacht clubs become a Certified Clean facility. We are pleased to report that we do have several Certified Clean Marine facilities from surrounding states that have gone thru the certification process and find true value in doing so. It is our goal to assist marinas, boatyards and yacht clubs navigate the certification process by providing one on one informative pre certification instruction when requested. We have updated the Clean Marine Certification Score Sheets that were designed to be the roadmap and simplify the process. You can locate these on the recently updated Clean Marine website. The Clean Marine Board of Directors and I with your participation look forward to a very successful year for the Clean Marine Program. Tony Anderson is a Utah native and as a youth enjoyed time at beautiful Lake Powell. This love of the scenic splendor has inspired him to protect the waterways. His current role is General Manager of Marina Operations at Lake Powell Resorts and Marinas. Their team is very proud to have the Clean Marine Certification of all four of their Marinas canvassing Lake Powell UT/AZ. Tony is a Certified Marina Manager and USCG licensed captain, he enjoys inspiring the next generation of recreational boaters across inland waterways. Anthony Del Rosario joined California Yacht Marina-Cabrillo in July 1998 as a safety officer; he was promoted to safety supervisor in less than a year. He was promoted to Dockmaster at CYM-Wilmington in 2000. Since that time he has mastered a number of new skills and has been quite effective in applying them in his day-to-day operations of the Marina. In 2004, Anthony heard that a Clean Marine California Program was in the works and he quickly came on board. Anthony was excited to get involved with the program because it's a program that is aimed at protecting the marine environment from a variety of pollution sources associated with boating and marina operations, this is the right thing to do, he said. Anthony has extensive experience in the Clean Marine California Program has focused on providing assistance and outreach to other Marinas to develop and implement clean marine practices. 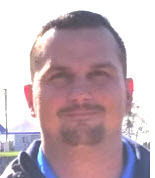 Anthony has mentored over 10 Marinas into compliance with the Clean Marine California Program standards. Under the Clean Marine California Program marinas must be in full compliance with environmental regulations, implement a comprehensive list of best management practices and pass a site visit inspection. Anthony is an inspector for the Clean Marine California Program and has inspected over 9 Marinas. Somehow Anthony finds time for a few hobbies - cooking, barbequing, restoring vintage vehicles and off road riding. Thank you Anthony for your professionalism, dependability and teamwork. Congratulations from everyone at California Yacht Marina! Tim is the current Harbor Master at Village West Marina and Resort in Stockton, CA. Located on the Delta, Village West is home to 680 berths, 6 commercial tenants, vacation rentals, and a small RV park. Tim has helped Village West Marina and Resort establish new policies and procedures as the marina has grown since 2015, apply for different permits through different agencies, rebuild, and rebrand the marina. Tim grew up boating on the Delta, spending countless summer hours with his family skiing, and wakeboarding. Tim bought his first pwc at 16; sometimes a wet suit was required, but that pwc was used 12 months out of the year. These early memories prompted a passion for the marine industry and the preservation of the bodies of water that allow for these activities. Programs like the Clean Marine program will allow for future generations to partake in the different recreational boating activities we all love. .
Brad Gross is recently retired as Harbor Master from some of the largest municipal waterfront facilities in California. Brad is a Certified Marina Manager, a licensed Captain and has been in the maritime industry for over 30 years starting in Newport Beach, CA. He has worked in the waterfronts of Hawaii, Marina Del Rey, Long Beach and Dana Point Harbor. He spent 11 years in the Bay Area and was the Harbor Master at the Berkeley Marina before moving across the Bay to the San Francisco Yacht Harbor. In 2007 he returned to Orange County as the Harbor Director for the Dana Point Harbor Department, finally retiring in May 2016. Brad was on the California Clean Marine Initiative Advisory Committee that worked to develop the first California Clean Marine Toolkit, serves as the Chair of the Association of Marina Industries and also served on the Board of Directors, and was past President for the California Association of Harbor Masters and Port Captains. Jim has been with Almar since 1998. Prior to Almar he spent more than 15 years in the hotel/resort business working for companies like Westin and Le Meridian Hotels. The customer services experience gained from the hospitality industry has helped a great deal in understanding how the marina industry should evolve. Almar operates marinas though out California and Hawaii. Almar is the largest operator of marinas on the west coast with more than 30 years of experience in developing, constructing and operating marinas. Steve Morris started in the marine industry when he was still a teenager, washing boats and painting bottoms at his grandfathers boatyard in Dana Point. He worked in the boatyard every summer from 8th grade, then full time after he graduated high-school and worked his way through college at Cal State Fullerton. He always wanted to learn more about the boatyard business, so year after year he did just that. After working his way up from the bottom, he now runs the boatyard as the 3rd generation, with the help of his brother Jason Morris and wonderful crew. He is an avid outdoors man, enjoys the Ocean, and most everything around water sports. He also enjoys metal fabrication and off road actives, a few of his off road builds have been featured in Off-Road magazine. He loves to help protect and preserve the environment and is very excited to be a part of the Clean Marine organization. Tony Reese joins us from Bluewater Marine and Dock Specialties in San Diego, California. Tony has over 15 years of experience managing all aspects of the marina and hospitality industry including: Regional Vice President of Safe Harbor Marinas, General Manager of Cabrillo Isle Marina, 5 years of Hotel Management at the Sheraton SD Hotel and Marina as their Operations Manager, Director of Leisure Operations, and Six Sigma Green Belt. Prior to that, he was the Dockmaster at the San Diego Yacht Club, and held a variety of roles for the Navy's recreational marinas in SD including Operations Manager, Junior Sailing Camp Director and Sailing Instructor. Tony is the past President of the San Diego Dockmaster's Association; he sits on the Port of San Diego's Harbor Safety Committee, and has ambitions of starting a non-profit organization to expose children and their families to boating and sailing in particular. He believes that the key to a healthy and thriving marine industry and population in the future is clean accessible water and getting kids involved and engaged in boating early in life. .
San Diego Office10520 Kenney St.
Rod Taylor has over 30 years of marina experience beginning at Lake Shasta located in Northern California. Rod spent every weekend, holiday and vacation at the lake enjoying the outdoors especially water sports including fishing, boating and skiing. Achieving the status of Certified Marina Manager in October of 2001, Rod is experience in all aspects of marina management and outdoor tourism. Working at Forever Resorts since 1995 Rod is responsible for multiple full-service marinas with wet slips, boat rentals, fueling stations, dry storage, lodging, retail, raft tours, food and beverage. Involved in business development, project planning and over site, Rod has led projects in marina construction and restoration and worked in partnerships with agencies such as the National Park Service, Bureau of Reclamation, United States Forest Service, United States Coast Guard, Army Corp of Engineers and State Parks. Rod sits on the board of directors for the Clean Marine Program as Past President, a Trustee Board Member on Get Outdoors Nevada and Co-Chairperson n the Lower Water Colorado River Trail Alliance. Rod oversees properties that are certified to ISO 14001, Clean Marine certified facility. Rod is a member of the International Marina Institute, Marine Recreation Association, Association of Marine Industries, Leave No Trace, United States Green Building Council and America Outdoors. The Clean Marine Program copyrighted logo and associated text is the property of the Clean Marine Program. With permission from the Clean Marine Program's Board, the organization extends use of its logo and associated texts. Please read the following statement to learn more about how you can use and incorporate the Clean Marine Program logo and associated texts. The Clean Marine Program works closely with many agencies who may use the Clean Marine Program logo and texts with written permission from the Clean Marine Program Board.